Who do I contact when I have a course specific query? If you have an issue or query related to something course specific, such as the learning materials, certificates, activation code or pricing, it is best to contact the course facilitator or administrator. You can usually identify them by the red star symbol next to their name. Click on their name which takes you to their profile page. You can post a comment on this page or send them a private message. 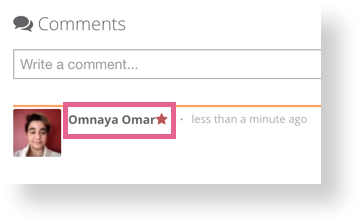 You can also try leaving a comment on a page inside the course. A fellow student might be able to help you out. If you are still having trouble, contact OpenLearning Support. I can't log into my course. Has it finished? When I complete a course, do I need to provide my NESA number to contribute to hours? I can't see anywhere to type in my NESA number. Your query would be best resolved by the course facilitator of the course you're taking. They are responsible for running the course and anything related to NESA accreditation (OpenLearning is the learning platform only). I m Shahidul Alam from India and currently enrolled in Introduction to Islamic Banking Practices. I am facing problems in accessing the content of Part 3b. Every time I tried it keeps loading for long time and nothing appears. Please resolve the issue as soon as possible. Shahidul Alam Hi there! The problem should be resolved now. Muhammad Fazil Norhamid Hi there. Is there something I can help you with? Hi. 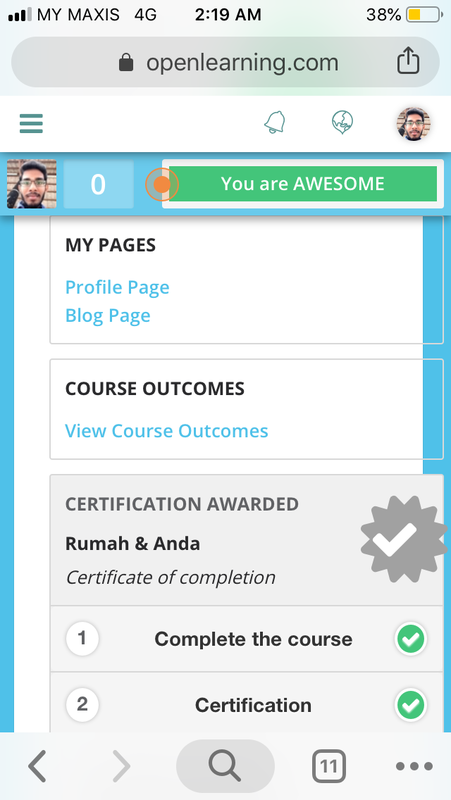 I have enrolled in Rumah dan Anda course. I have completed my course. it shows 100%. how to i find " assess me " for me lecturer to assess my work? PRAVIN THANABALAN Hi Pravin, can you please post the link to the course? PRAVIN THANABALAN Hi Pravin. It looks like you've completed all parts of the course and were issued a certificate. Is there a reason you still need to be assessed? 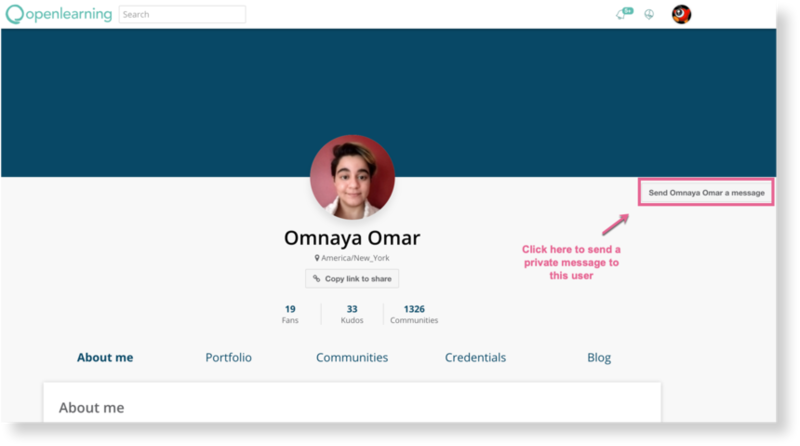 Omnaya Omar for this course, our lecturer said after completing it, there will " assess me " button to click on. he said if we didnt click on the button, he couldnt assess and give marks to us. PRAVIN THANABALAN Thank you for the clarification! Since this is a course-specific question, it would be best to ask your lecturer or one of the course admins directly. You could either comment within the course for them to reply, or you could send them a direct message on their profile page, if they have chat enabled. good morning. I have messaged my lecturer for this course regarding this matter. He had sent some screenshot to show his open learning ( as the lecture for this course ). 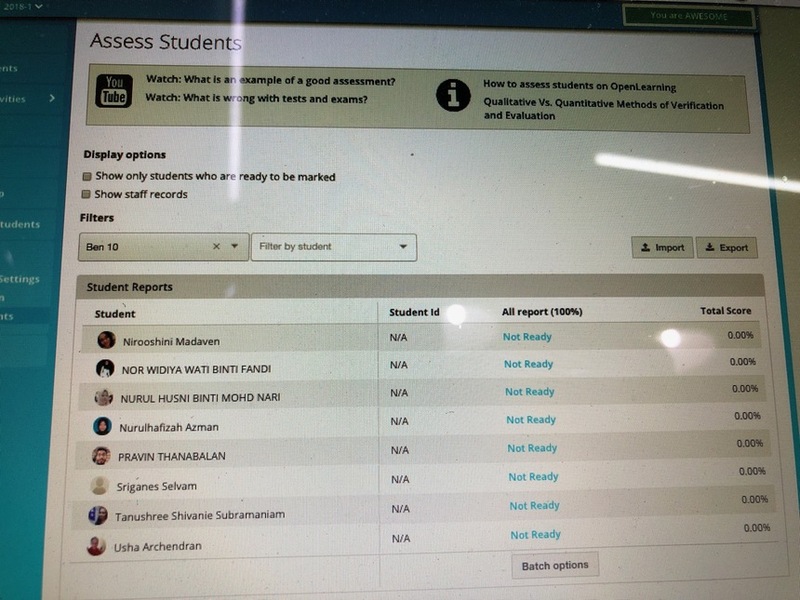 In his open learning, he can give marks to us unless we click the assess button. So, how can we clear this doubt? PRAVIN THANABALAN Hi Pravin! The issue has been fixed. 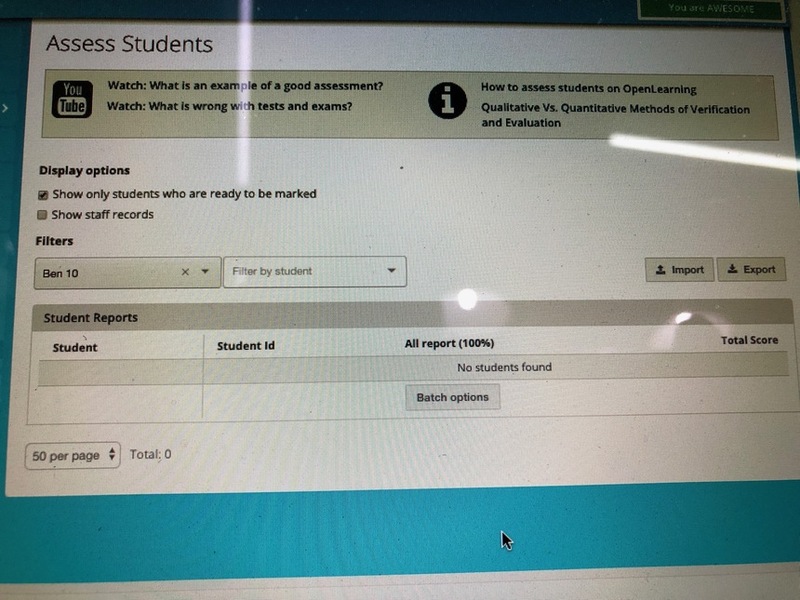 You can now go to your Progress page and click on Assess me now button. hello. Why before i click the “ assess me now “ button disappear before i even click it? PRAVIN THANABALAN Hello! Could you try again now? I cant see how to complete the online checklist to complete the final stages of my course and receive my certificate? how can i edit my enrolment information? why when i finished answer its pending ? Nur syahida zamri Hi Nur Syahida, usually this means that the course staff will review your answer. Please allow them a few days to do that.